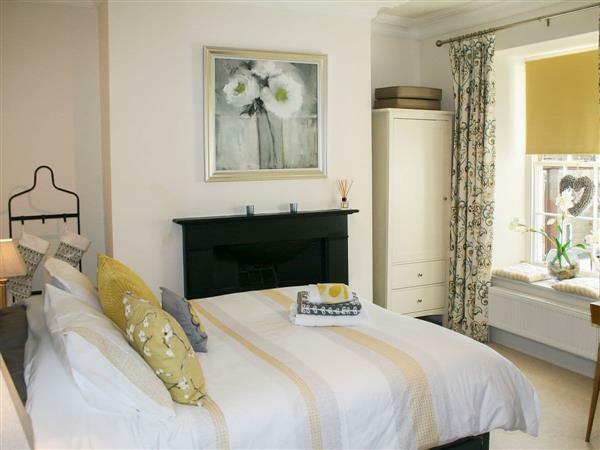 Bookkeepers Place in Bakewell sleeps 2 people. 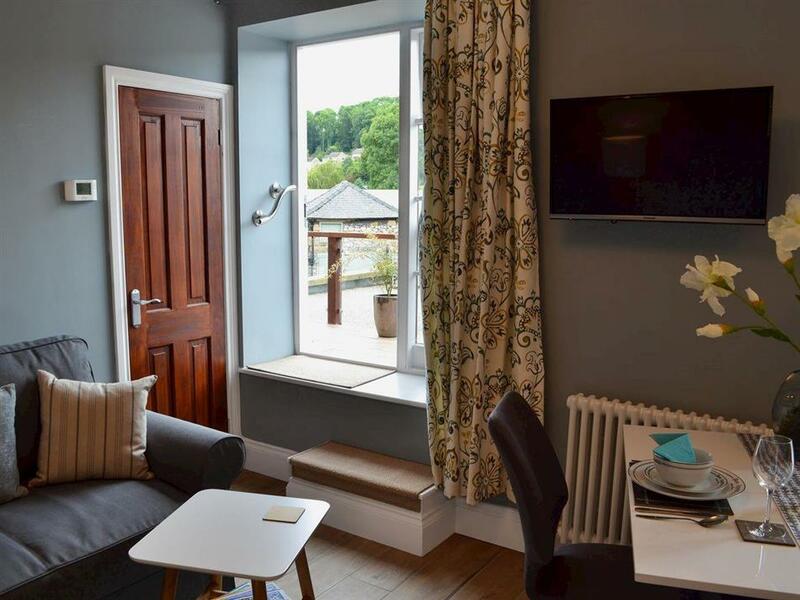 Bookkeepers Place in Bakewell is an apartment which can be found in the Grade II listed Welford House, in the centre of the popular market town of Bakewell. Beautifully renovated to a very good standard throughout, the property benefits from a superb south-facing balcony overlooking the well-known Bakewell Tart shop/café. Also nearby is the wonderful Lavender Tea Rooms, which were once listed in Derbyshire Life’s ‘Best 6 tea rooms in the Peak District’. Bakewell itself is a vibrant town within the heart of the national park, and is home to many local amenities together with the magnificent Chatsworth Estate and Haddon Hall. The River Wye runs through the centre, providing opportunities for relaxing by the water’s edge or enjoying riverside walks. The nearby Monsal Trail provides a traffic-free route for walkers, cyclists (bike hire available on the Monsal Trail) and horse riders, straight through to Buxton. Local key annual events include the Eroica Britannia British Cycling Festival, Bakewell Show, Well Dressings, Carnival Week, Bakewell Arts Festival and Bakewell Music Festival. Surrounding Peak District towns and villages within a 30-minute drive include the fascinating plague village of Eyam, Castleton, Tideswell and Hartington. The major cities of Sheffield, Derby and Manchester can all be reached in around an hour, as can Britain’s premier theme park, Alton Towers. The shop, pub and restaurant are 175 yards from Bookkeepers Place in Bakewell. First Floor: Bookkeepers Place is all on the first floor (no lift). Open plan living space: With tiled floors and French door leading to balcony. Living area: With Smart TV, Bluetooth speaker and double sofa bed (for alternative sleeping only). Gas central heating, electricity, bed linen and towels included. Shared utility/boot room/bike store. Balcony with sitting-out area and garden furniture. Private parking for 1 car (150 yards). No smoking. Holidays at Bookkeepers Place run from Friday to Friday. For a better idea of where Bookkeepers Place is, you can see Bookkeepers Place on the map below. Bookkeepers Place is in Derbyshire; should you be on the lookout for a special offer, you can find all the special offers in Derbyshire. It's always worth checking to see what is on offer at the moment. Do you want to holiday near Bookkeepers Place (UK4036), you can see other cottages within 25 miles of Bookkeepers Place; have a look to find your perfect holiday location.